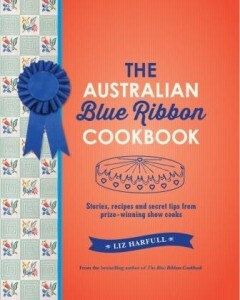 Delicious recipes, heartwarming stories and expert cooking tips from prize-winning Australian show cooks. Every year thousands of talented amateurs devote hours to preparing entries for cookery competitions run as part of 600 or so agricultural shows across Australia. In their quest for a prestigious blue ribbon, entrants use recipes based on generations of experience and strict judging codes that demand absolute perfection. In this best-selling follow up to the award-winning Blue Ribbon Cookbook, Liz Harfull brings together 70 tried and true recipes from some of the country’s most enthusiastic and talented show cooks. 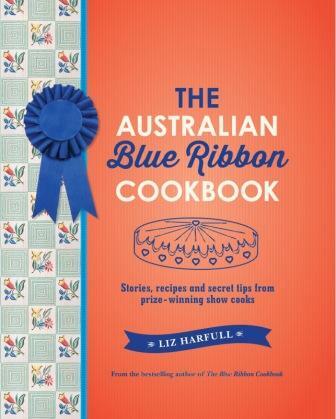 But more than that, in The Australian Blue Ribbon Cookbook Liz shares their heart-warming stories, and the wisdom, knowledge and generosity of spirit that brings success, even for novices. Whether it’s traditional scones or mixed mustard pickle, Jenny’s Jam Drops or Cousin Barb’s Jelly Slice, there is something delicious for everyone to try… The end results may even win you a blue ribbon!